Compelled by Love - Changing lives and alleviating poverty! "In 2010, my uncle made the huge decision to move with his family to Rwanda to train local NGO’s in a trauma rehabilitation program called Empower. In 1994, genocide took place in Rwanda in which over 1 million people were killed in the space of just 100 days. The horror that people experienced is beyond words. Even now, 23 years on, many Rwandans re-live what they went through during the genocide on a daily basis, completely crippled by their trauma. Today in Rwanda, victims and perpetrators of the genocide are living side by side in the same communities – so there is a huge amount of fear and suspicion that hangs over people. Many live in isolation and suffer from chronic pain and headaches, nightmares, flashbacks, inability to sleep, hopelessness, lack of purpose, plotting revenge, plotting suicide, lacking the will to live. When my uncle decided to move across the world to Africa – with four kids – I was so inspired by his courage and desire to share the resources he had to make an impact. I became a supporter of him in his journey and what he was doing – and along the way, as I learnt more and more about Rwanda, my heart was moved by not only the devastating stories, but by the resilience, determination and strength of the Rwandan people. I saw huge change in people’s lives through the Empower program and got involved as a volunteer to raise funds and awareness for this important work. As support grew, and the work expanded, I joined with my uncle and a number of others to establish a not-for-profit organisation in Australia called Compelled By Love, to advocate for the need and raise funds to continue this work. I now have the privilege of working for this organisation. I love this work in Rwanda because it is so unique. In general, we don’t build anything or make anything – you can’t ‘go and see’ a structure that shows what we do. The change that’s taking place is internal – amazing testimonies of people sleeping through the night for the first time since the genocide, of crying for the first time, of sharing their story with another person for the first time, of having relief from chronic pain. People sharing about forgiveness and reconciliation; about recovering meaning and purpose in life, and the will to live – and then combining this hope with the skills and resources they have to start addressing poverty for themselves. 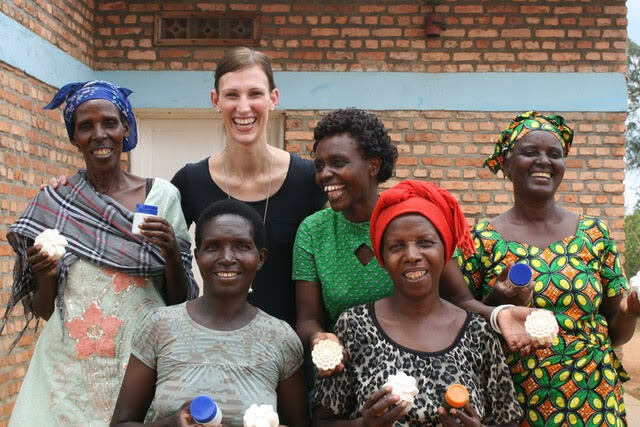 We aim to support our partners in Rwanda to run Empower monthly – each program has 36 participants who’s lives begin a process of amazing transformation in just seven days. " To find out more about Compelled By Love, visit http://www.compelledbylove.org.au/ or check out their awesome crowdfunding campaigns below!